For example, the parties could have come to complete agreement on dividing the property and how much time each parent spends with the children, but cannot agree on child support or spousal support (alimony) issues. Sometimes, issues are initially contested but later resolved between the two parties and the divorce is then uncontested. 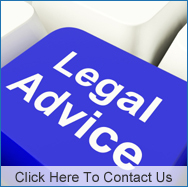 Other times, cases that at first seem even tempered can result in a contested divorce and trial. It is always less expensive and easier on stress levels to have an uncontested divorce. However, this is not always possible. If any issues are contested, attorneys should be involved to make certain that your views are put before the court in a persuasive fashion to get you the outcome you need. Lisa Kallemeyn has over 20 years of experience in dealing with divorce cases and can help you get the result you best for you.